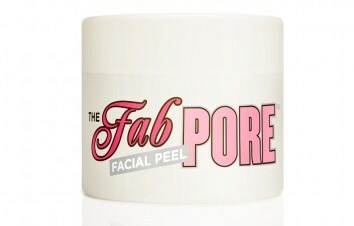 For the past couple of weeks I have been using a great little product called The Fab Pore™ Facial Peel. Now first up it’s actually not a peel off but it is a great facial mask! The minty scented product goes on nice and smooth, the tiny green beads give an extra exfoliating effect and I could feel it working before I’d even finished applying it. Just after the first time I used it my skin looked fresher and felt so much softer. This mask is ideal for greasy, spot prone or problem skin, I love the extra squeaky clean skin effect of the product. This product is not a one hit wonder, it works best if it used frequently around twice a week or even more. That way you really get to see results, less spots and blackheads, less grease and dirt on your skin and therefore a healthy glow to your skin. It’s been a great product removing that greasy feel during summer making my skin feel so refreshed!